It is believed that the bedroom is more than just a place to rest your head at the end of a long day. 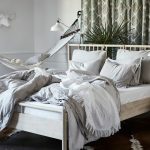 Most people regard the bedroom as a private sanctuary, an escape from the hustle & bustle of a long day – therefore your décor and overall feel of the room should reflect this. As renovation is not a practical option for most of us, a better alternative would be to add some simple accessories to compliment your current furniture. Pay attention to the little details – small changes go a long way. Apart from the glamour that accessories add to a room, remember to choose practical and useful pieces. Evaluate what your requirement is along with your personal style and budget. For starters, it’s extremely important to pay attention to the lighting. Go for a dimmer switch that allows you to adjust the level of light to suit the mood. 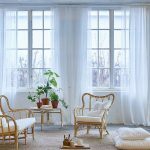 Opt for blackout shades over your windows to prevent light coming through from the outside, or play up the natural light by adding frilly or lacy curtains to your windows. Ensure your bedroom is self-contained and luxurious by including a pop-up television cabinet at the end of your bed and an audio system, so that you can prolong the luxury and comfort. Add a living space with separate seating if the space allows for it. Fireplaces are another great addition. Create a cosy reading nook by the window, or tuck a chaise lounge under any awkward-angled eaves. You can opt for a foldable bed if space is a constraint. For your bedding, 100% cotton is always a good choice because it washes well and feels luxuriously soft to the touch. Matching bedside tables that can store everything at arm’s length, complete with lamps are essential. Use throw rugs to protect your floor. Hardwood flooring is the modern and contemporary floor covering option, but it can be a drastic change from carpeting, especially on bare feet in the winter months. Your bedroom is probably the most private space in your home and should not be neglected for this simple reason. Let you bedroom reflect you – after all it’s your very own peaceful escape.